Sunday April 5, 2015 - It is Easter Day - a day of joy in the Christian calendar as this event thousands of years ago is the basis, the very foundation of the faith is cemented in the story and commemoration of the Risen Lord. We wish you all wherever you may be a happy Easter season and prayers that all those who fed fat on the funds earmarked for the fight against the Ebola Virus Disease will get the Lord's just reward for their wickedness. In Kenya, it is a time of mourning, reflection and soul searching as nearly a hundred and fifty unarmed and innocent civilians are slaughtered. In Sierra Leone, with more than three thousand dead that need not have died, the government of the rat is busy trying to wish away the audit report which firmly implicates the uncaring and shameless cabal of the rat. They would rather see more die as they appeal for help to fight the deadly Ebola Virus Disease as they see the terrible impact of the disease on the people as another money-making venture. And we know in a system where even the head janitor at the Youyi building has to be approved by the rat, we are not surprised that all those criminal and illegal contracts were given the go-ahead by him. The Kenyan President Uhuru Kenyatta has declared three days of national mourning starting today Easter day as the country comes to terms with the slaughter of some one hundred and fifty people when Al-Shaabab gunmen attacked Garissa University College. The Daily Nation online news outlet edition in Saturday's edition stated - "President Uhuru Kenyatta has declared three days of national mourning in honour of the 147 people who were killed in Garissa University College by Al Shabaab terrorists. During the three days, the national flag will fly at half mast, the President announced yesterday in an address to the nation after meeting the national security team at State House, Nairobi. “As we mourn together and pray together for the fallen and for this our precious Republic of Kenya, I declare three days of national mourning during which our flag shall fly at half-mast,” he said. He also promised government assistance to the families of the victims. "One of the Garissa attackers has been identified as a Kenyan national. Interior ministry spokesman Mwenda Njoka named the attacker as Abdirahim Abdullahi, saying he was "a university of Nairobi law graduate and described by a person who knows him well as a brilliant upcoming lawyer." The spokesman said Abdullahi's father, a local official in Mandera County, had "reported to the authorities that his son had gone missing and suspected the boy had gone to Somalia". Describing Abdullahi as a high-flying A-grade student, Njoka said it was "critical that parents whose children go missing or show tendencies of having been exposed to violent extremism report to authorities". Abdullahi was one of the Al-Shabaab gunmen involved in the massacre at Garissa University College during which non-Muslim students were lined up and executed. The massacre, which was the deadliest attack on Kenyan soil since the 1998 bombing of the US embassy in Nairobi, claimed the lives of 142 students, three police officers and three soldiers. One Reuters report on the President's speech is a pointer to what Kenya faces in the battle against extremists who were prepared to murder and maim in the name of a religion that means peace. "Kenya's President Uhuru Kenyatta said on Saturday that those behind an attack in which al Shabaab Islamist militants killed 148 people at a university were "deeply embedded" in Kenya, and called on Kenyan Muslims to help prevent radicalisation. His televised speech in response to Thursday's 15-hour siege at the Garissa university campus came after the Interior Ministry said five suspects in the assault had been detained, some while trying to flee to Somalia. "Our task of countering terrorism has been made all the more difficult by the fact that the planners and financiers of this brutality are deeply embedded in our communities," Kenyatta said. 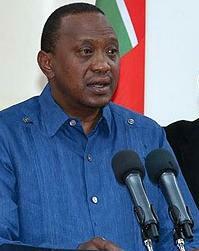 "Radicalisation that breeds terrorism is not conducted in the bush at night. It occurs in the full glare of day, in madrasas, in homes, and in mosques with rogue imams." "We suspect the Tanzanian, who was hiding in the ceiling, was one of the combatants. He had ammunition with him when he was arrested on Thursday night," ministry spokesman Mwenda Njoka told Reuters. "We suspect the guard facilitated the entry (into the university). 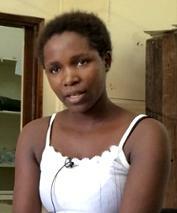 The Kenya Red Cross said it had found a woman survivor on Saturday in the university, two days after the siege ended." Meanwhile the head of the world Catholic community Pope Francis in a message from the Vatican has pleaded for the protection of all who are persecuted because of their faith. "From the risen Lord we ask the grace not to succumb to the pride which fuels violence and war, but to have the humble courage of pardon and peace. We ask Jesus, the Victor over death, to lighten the sufferings of our many brothers and sisters who are persecuted for his name, and of all those who suffer injustice as a result of ongoing conflicts and violence. We ask for peace, above all, for Syria and Iraq, that the roar of arms may cease and that peaceful relations may be restored among the various groups which make up those beloved countries. May the international community not stand by before the immense humanitarian tragedy unfolding in these countries and the drama of the numerous refugees. At the same time, in hope we entrust to the merciful Lord the framework recently agreed to in Lausanne, that it may be a definitive step toward a more secure and fraternal world. We ask the risen Lord for the gift of peace for Nigeria, South Sudan and for the various areas of Sudan and the Democratic Republic of the Congo. May constant prayer rise up from all people of goodwill for those who lost their lives – I think in particular of the young people who were killed last Thursday at Garissa University College in Kenya –, for all who have been kidnapped, and for those forced to abandon their homes and their dear ones." 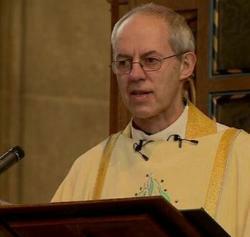 In his Easter Day sermon today, the Archbishop of Canterbury Justin Welby focuses on persecution and described the murdered Garissa victims as martyrs who were targeted because of their faith. The BBC's Carolyn Wyatt reports - "It is an Easter of suffering for many Christians around the world, a fact highlighted by the Pope and the Archbishop of Canterbury, as well as the Archbishop of York, in their Easter homilies. Much of the news in the months leading up to Easter 2015 has been dominated by the killing of Christians, most recently the students in Kenya - many explicitly because they were Christian - and earlier in Libya, Syria and Iraq by Islamic State (IS) militants, who appear determined to drive those of other faiths from the areas they control, including other Muslims who do not subscribe to their extreme interpretation of Islam. There is growing concern among Christian leaders over the murder of Christians by Islamist militants in many parts of the world, as the ideology of IS, Boko Haram and al Shabab and others spreads its message of death and hatred. 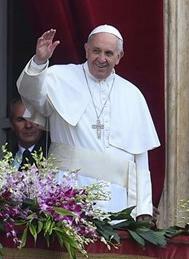 While the Pope and the archbishop have called on Christians to listen to the Easter message of the risen Christ today and forgive their persecutors, Pope Francis has made it clear for some time that he believes military force is justified. The three main UK party leaders also highlighted the persecution of Christians abroad as they took a break from election campaigning to mark Easter. Prime Minister David Cameron, who attended a church service in Oxfordshire, said it was "shocking" to know people abroad were still being "threatened, tortured - even killed" because of their faith. Labour leader Ed Miliband said Christians were the victims of religious discrimination in the world, saying "our hearts go out to those who face difficult times both overseas and closer to home". In a message on Twitter, Liberal Democrat leader Nick Clegg wrote of the "cruel and barbaric killings that took place in Kenya". The UK-based Guardian newspaper has been reporting on the ordeal of a Christian student survivor who was found safe and well after hiding for two days in a cupboard. The attack at the Garissa University College left 148 people dead, with the death toll expected to rise. But student Cynthia Cheroitich, 19, escaped the massacre after finding refuge as gunmen strapped with explosives stalked classrooms and corridors. She told the Associated Press that as the attack by four heavily armed members of al-Shabaab began, she climbed into a clothing storage cupboard and covered herself in garments. She remained hidden there while other classmates came out from similar hiding places as the gunmen continued the attack. She was rescued 48 hours later, according to Kenyan officials, after a teacher was brought in by security forces to persuade her it was safe to come out. Cheroitich said she originally did not believe her rescuers had come to help her, suspecting they were militants. “How do I know that you are the Kenyan police?” she said she asked them. The Press Association added she was tired and thirsty, but was otherwise in good health.